Hyderabad : Islamic art, especially calligraphy, can play a key role in ada’wah’, or inviting people to understand Islam and clearing misconceptions about it, feels Fareed A. Al-Ali, the head of Kuwait Islamic Arts Centre. 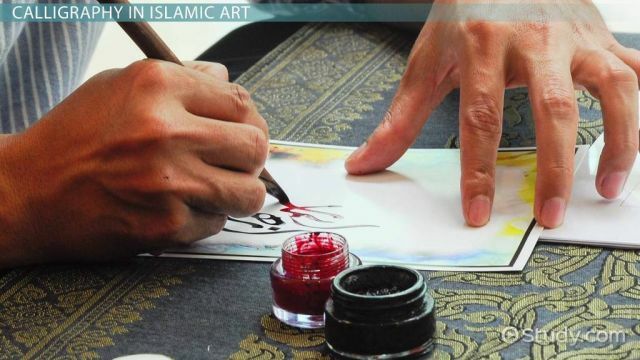 Drawing pictures of human beings is prohibited in Islam, but he believes the beauty of various Islamic arts, including calligraphy, is a powerful tool to attract people and invite them to understand the message of Islam. Whenever Fareed goes to art exhibitions, people stand in queue to get their names written in his beautiful writing and they preserve it like autographs of a celebrity. Fareed’s writing of Allah’s names in different styles at an exhibition in Egypt attracted the attention of a French national. “He wanted to know what is Allah and what is Islam. I referred him to Al-Azhar University, where he learnt about Islam and a year later embraced Islam,” Fareed told IANS. The president of the Kuwait Islamic Arts Centre, who was recently on a visit to India, believes that art exhibitions and workshops are key to spreading the message of Islam and also in removing the misconceptions. “The beauty of words can make the difference. When they see beautiful words of Quranic ayats (verses), they want to know the meaning and this make them go further and understand Quran,” said Fareed, who has demonstrated his calligraphy skills at the Jaipur Art Summit for the last two years. The Kuwait Islamic Arts Centre, under the Ministry of Awqaf and Islamic Affairs, has been working for more than 11 years to promote Islamic arts like calligraphy and illumination. It organises workshops and exhibitions and conducts competitions in schools. He pointed out that the Centre , apart from promoting Arabic calligraphy around the world, was also helping remove the misconceptions about Islam. “Everybody thinks Islam is terror and Islam is a problem… but through art we tell them it is not. We say Islam is peace. The Centre, working in different ways to nourish calligraphy, focuses on children and publishes a lot of books to make them learn and discover Islam through activities like puzzles and colouring. He is happy that many young people in Kuwait are taking to calligraphy. “There is huge demand. Many students are on waiting list. Several Kuwaitians take Ijaza (certificate) from renowned calligraphers. More women than men are learning calligraphy,” he said. Fareed is happy over the efforts being made in India to revive Arabic calligraphy. In December last year, he inaugurated the Arabic Calligraphy Centre in Hyderabad. This is the second centre opened by Muqtar Ahmed, who teaches calligraphy at the Institute of Indo-Islamic Art and Culture in Bengaluru. He feels without depending on the government’s help to promote Arabic calligraphy, the rich among the Muslims community should come forward to contribute their mite. “The rich should put their money in buying calligraphy works. They will also get good returns. A good work which is worth $1,000 today will have a value of $3,000 to 6,000 in 5-7 years. Such works fetch millions in international exhibitions,” he said.